A solid, steadily growing economy makes commercial real estate a wise investment. If you’re ready to add to your portfolio and expand your investments, commercial real estate is a solid choice. However, it’s a broad category of the business, so where should you put your money? From apartment complexes to office space, retail and industrial space, what’s the most lucrative investment? Also, what considerations should you make before taking the plunge? Ideal for beginning investors who have somewhat limited budgets, multi-family complexes such as apartment buildings or townhouses are excellent choices. Everyone needs a place to live. So, housing is a stable market in which to invest. It’s also reasonably easy to get into the business of commercial residential real estate. Little background knowledge is needed, and you can learn the ropes of being a good landlord quickly. Warehouses and manufacturing spaces are examples of industrial property. They are often located near transportation hubs like airports, train stations, shipping ports, and other strategic areas. They also frequently achieve long rent periods, making them a stable choice. Office space is an excellent investment in a booming economy but can be more sensitive to economic trends than other types of properties. You can also write long-term leases, as well. Office space investment is most profitable and stable if multiple tenants share the same building. This way, income security is higher for your investment. Shopping centers, malls, strip malls, and even individual retail spaces can be used for everything from department stores to grocery stores and other sorts of shops including clothing stores, specialty food stores, stationery shops and more. Location of these spaces is of particular importance for ensuring that your investment will be successful. 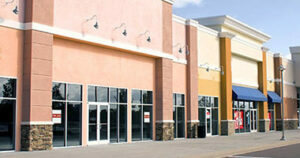 Retail spaces are stable investments since most tenants sign longer leases of 5 or more years. Ready to get started? You can achieve the best results with the help of MGR, who can work with you to help you plan and manage your commercial real estate properties.